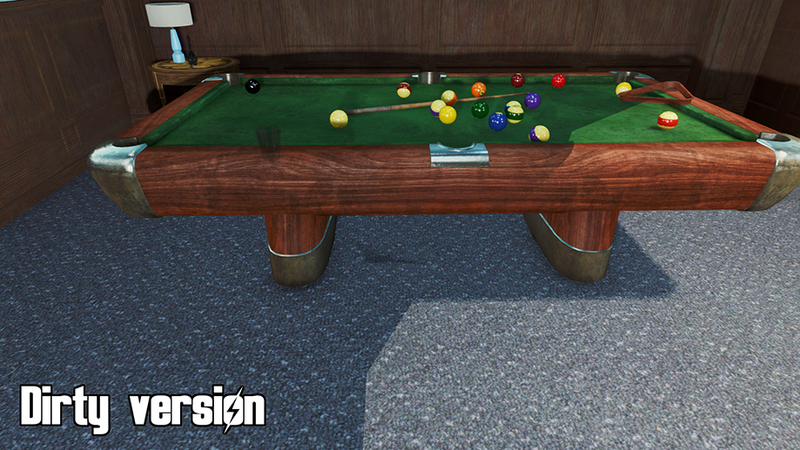 HD retexture of the pool table in a variety of colors and finishes. 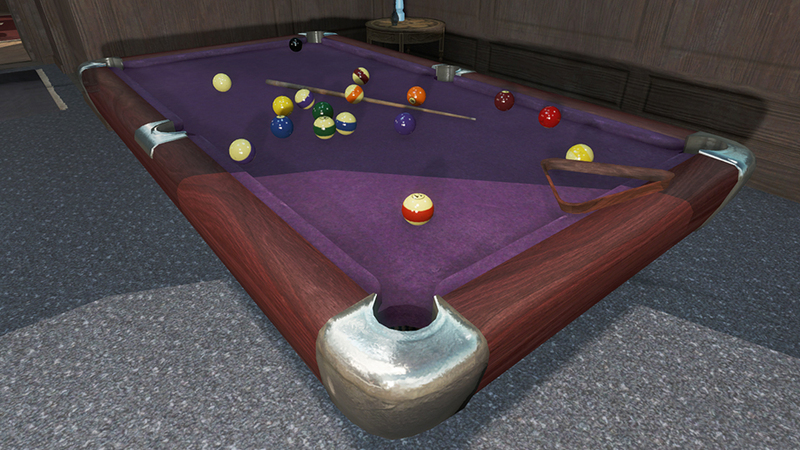 For the classy wasteland pool shark. Clean or dirt versions available. 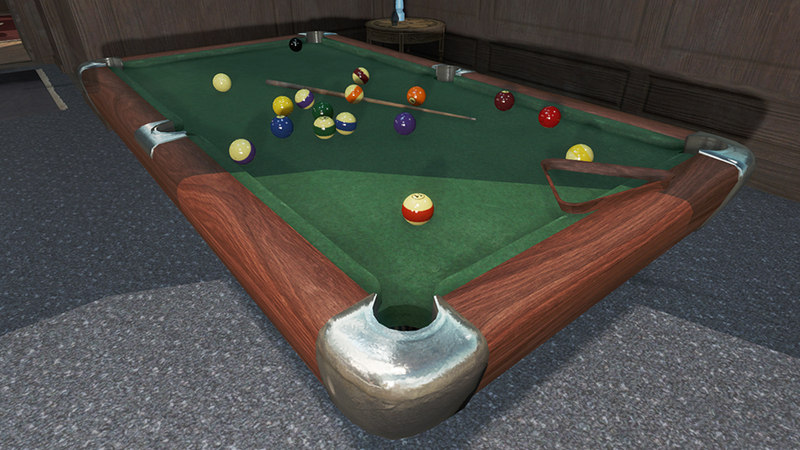 HD retexture of the pool table in a variety of colors and finishes. 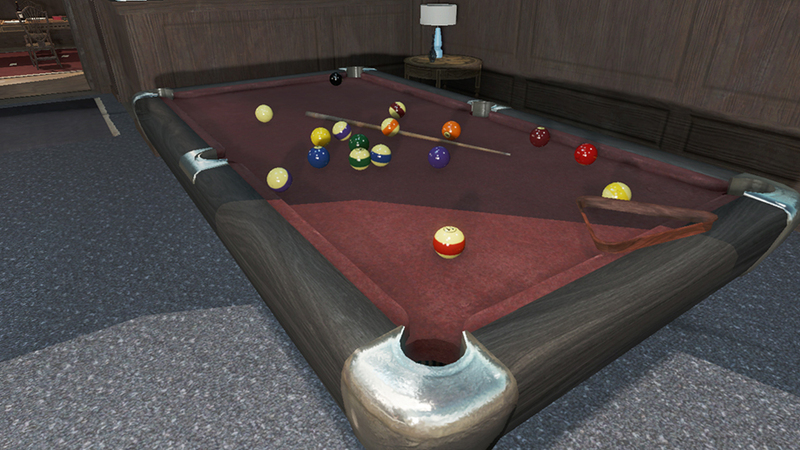 For the classy wasteland pool shark. 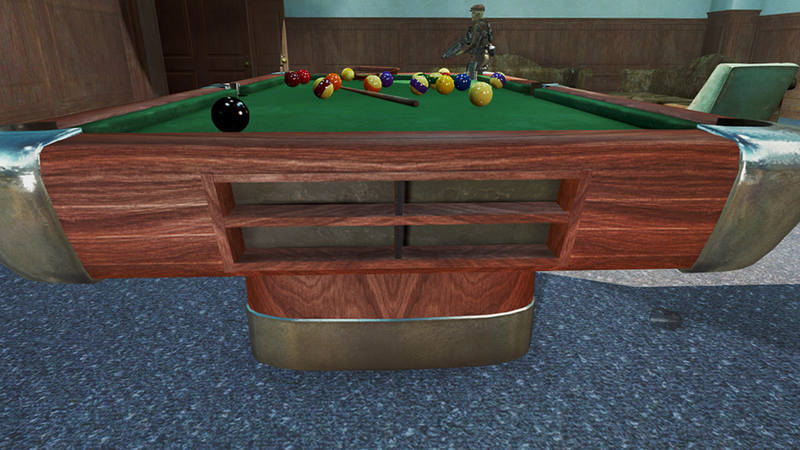 Felted in four colors, paneled in rich mahogany, and sporting chrome hardware, this mod is a must for the modern Commonwealth settlement. The pool balls shown are my Realistic Pool Balls HD. 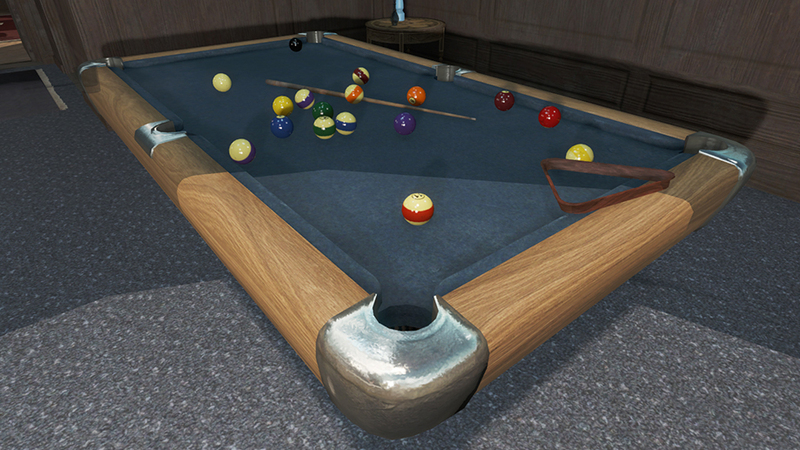 For now, just choose the file you want from the Files tab. 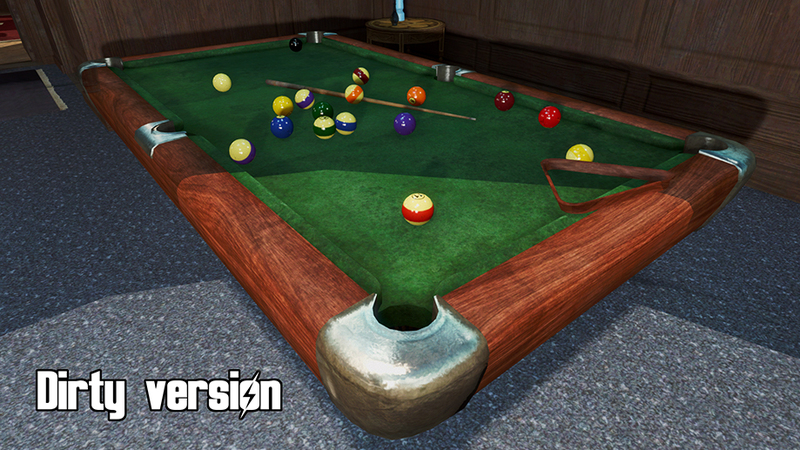 I'll make an installer when there's enough variations. More color combos forthcoming - I just wanted to have these as an example of felt colors and finishes. 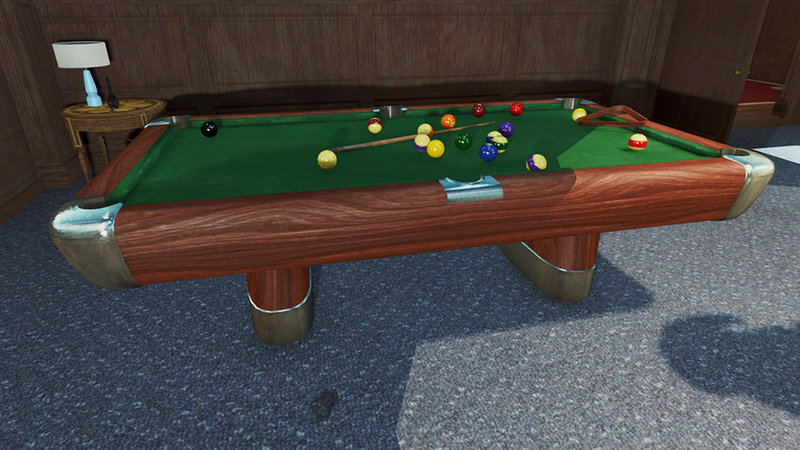 Table texture is 2k, everything else is 1k or less. All files are fully optimized - should not affect performance unless you have many tables in a small area for some reason. There are dirty versions of the four currently available textures as well.